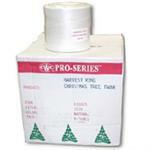 Twine for Christmas Tree Balers. White or Red Christmas Tree Netting. 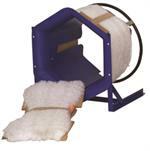 Soft knitted, come in four sizes to fit any baler. Tree netting reduces damage to tree and branches, improves tree handling. Brand new this year! Try our new Bright Red/Green Tree Netting. It is soft knitted and designed to add eye catching color to your baled Christmas trees!